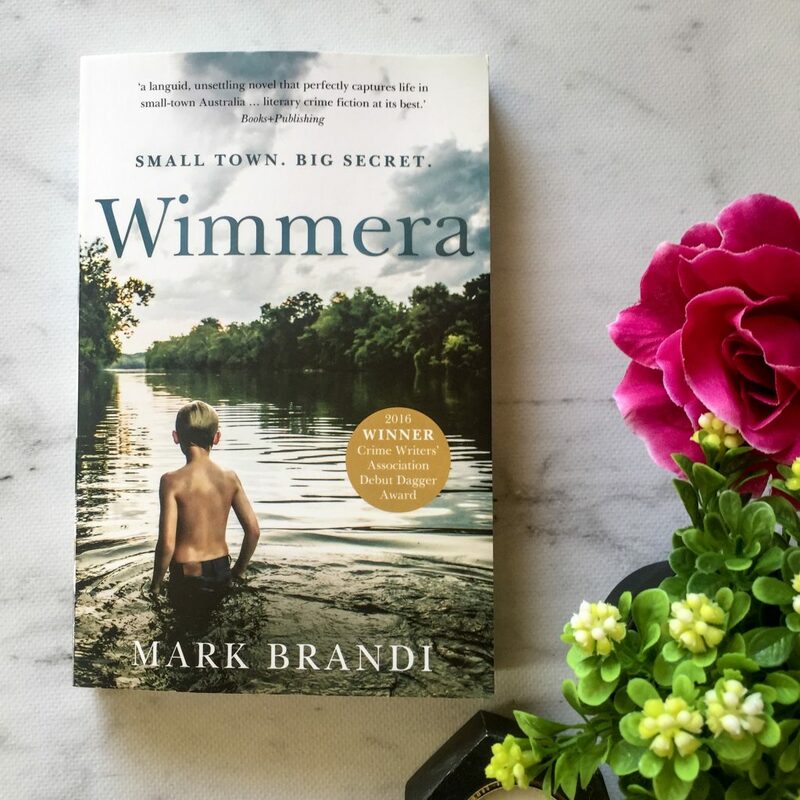 Wimmera is a literary crime novel set in a small town with a big secret. Ben and Fab are best friends, and the book explores their friendship in various stages of their lives, from when they’re young boys to when they’re older. The two boys share a secret that they don’t speak of. The novel is broken up into three parts. The first part takes place during the hot summer of 1989, when Ben gets a new neighbour, Ronnie. Daisy Wolfe and her family have just recently left town after fourteen year old Daisy hung herself on the clothesline in the backyard. Ronnie moves into their house and Ben starts doing some odd jobs around his place as a way to make extra money. The second part of the book is predominantly set twenty years later; Fab is still living in Wimmera noticeably unsettled by what happened the last few times he saw Ben. The reader is left in the dark, because part one ends on a rather abrupt note, and then part two picks up twenty years later. Ben doesn’t appear to be living in Wimmera anymore, and Fab’s life seems to be stagnant. As the reader, you start speculating what happened at the end of that summer in 1989. The final part of the book follows a police investigation about a body that is found in the local river. Fab is called in for questioning. Mark Brandi has a Criminal Justice degree and used to work for the Victorian Department of Justice, so a lot of the procedural and legal aspects of the book no doubt came from his own personal experience. Brandi captures the atmosphere of a small town really well. Gossip gets around fast and there seems to be a darkness building in the town. Wimmera also feels like a town where lots of people talk, but no one seems to ask any questions. Daisy commits suicide and people seem fast to move on from it, especially after the Wolfe family move away from town. When Ben goes to a party and people are gossiping about why they think Daisy committed suicide, there seems to be no sense of urgency to find out the real reason. Rather, everyone goes about living their lives. This contributes to the overall melancholic feel of the book – you feel like these characters are stuck in this town and that they’re never going to leave. And then when you move on to part two, you realise that Fab is indeed stuck in this town. The writing is fantastic. It’s lyrical, evocative and vivid and the Brandi allows us to really understand these characters without actually telling us a whole lot about them. Through their circumstances, and how they act in certain situations, we learn all about the boys and the nature of their friendship. Fab’s dad hits him, but Ben doesn’t really say anything about it to Fab or anyone else, and Ben’s new neighbour Ronnie really unsettles him, but Fab doesn’t trust his instinct enough to do anything about it (or ask Ben about it). At times, both characters turn a blind eye to what they don’t want to discuss. The first part of the book is most definitely the strongest section of Wimmera. I actually wanted to find out more about that summer, and felt like Mark didn’t develop the boys’ friendship as much as he could have. I understand what his intention was. He wanted to end part one on a rather gut-wrenching moment, but when I started part two I was actually quite disappointed with where the book went and I would’ve liked to go back to the summer of 1989. The transition between Ben’s story in 1989, to Fab’s story twenty years later, felt rather disjointed. Ronnie was a predictable character, and I was not surprised at all when he and Ben’s ‘friendship’ became something more. I personally felt like the police investigation and the resulting trial was rushed and was too quick, and that part of the book should’ve either been bulked up and developed further, or just cut out of the book completely. There would’ve been more suspense and intrigue if the body was found but we didn’t find out absolutely everything that happened on the night of that character’s death. The book was building up really slowly and Mark Brandi was drawing the reader in with all this mystery, and then I hit part three and all of a sudden it’s moving at 100 miles per hour and the pacing doesn’t quite match the rest of the book. I recommend this book to people who love crime fiction. This may be quite a literary book, but at the heart of the story is a mysterious death and Mark pulls you in right from the first page. People who loved The Dry by Jane Harper or Jasper Jones by Craig Silvey will love Wimmera.